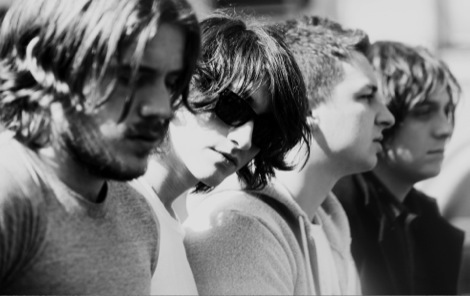 The third coming of the Arctic Monkeys. Indifference abounds. Without wishing to descend into an amateur football report, the weather in Liverpool is most disagreeable. Bouncing off the blackened cobbles and dripping wet ankles, we’re in need of a desperate pick-me-up and the Arctics are a most reliable source. Not only have they provided one of the most memorable slices of action in recent memory – a pre-Whatever People Say I Am, That’s What I’m Not Gonzo gig at The Masque which saw teenagers leaping lemming-like off every available platform as Alex sung lost lyrics to Mardy Bum and the like as Liverpool bore witness to the coming of one the great new talents in music – but the Arctic Monkeys also represent somewhat of an adopted child to Merseyside. 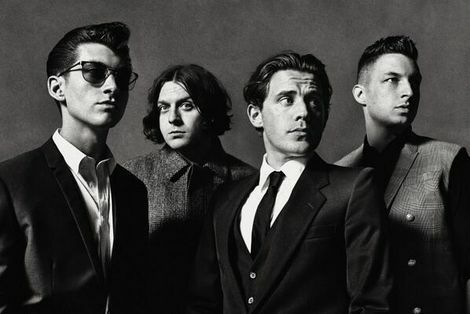 From the iconic cover of that debut in Korova, hanging with The Coral at Glasto, the design of follow up Favourite Worst Nightmare lashed across a derelict house in Garston and most recently Turner’s Last Shadow Puppets collaboration with chief Rascal Myles Kane. Proof positive arrives in the shape of all the heads of the Liverpool scene gathering together in one great love-in to the right of the stage as row upon row of dolled-up lovelies share kisses and greetings with the town’s musical cognoscenti. So it’s hardly a surprise the Monkeys have chosen this home from High Green as a launching point for their new tour. What is a surprise is quite how much of a damp squib the evening turns out to be. Its troughs outweighing its peaks, its lack of heightened drama we associate with the Monkeys – a desperate lack of edge and menace, its plateauing of excitement – and most importantly the sense they’re not fully feeling it either. They open, characteristically, with a curve ball – such is their manner, a modus operandi we love them for; against the grain and indignant in their approach at playing the game – Dance Little Liar flickers with danger as Alex’s lips slowly slur out each lyric before Jamie Cook fires off the first of tonight’s crackling tremello-imbued riffs which segues expertly into Brianstorm. The crowd goes ballistic. For 30 seconds. And then there’s a slow easing off. Like the music is registering but unable to maintain it’s magic – and this happens repeatedly throughout. 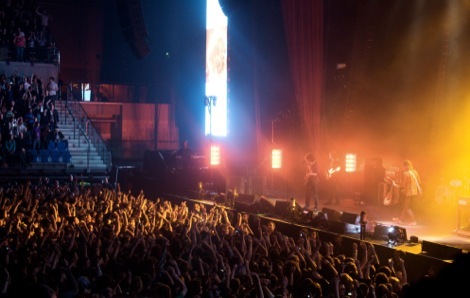 Most notably during a chronic final third as one lull which begins with Cornerstone grows into another and another and another and it’s left to a barnstorming When The Sun Goes Down to finally awaken the arena and all that unused energy sends almost the entire standing area into a semi state of delirium. It’s just as well Morrissey wasn’t in attendance. 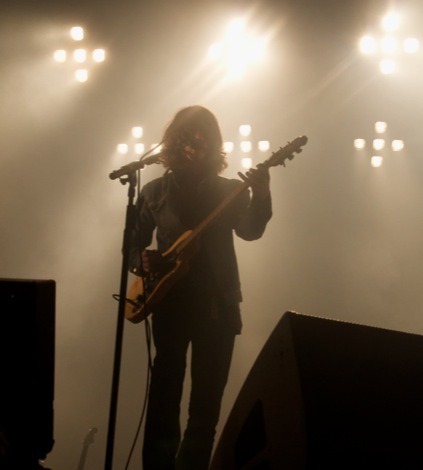 Alex Turner emerges from the fog. Even career highlights rarely move out of second gear. This House Is A Circus is static, redundant of blitz, My Propeller leaden and weary as Alex’s vocals so thickly droll they inspire yawns rather than singalongs while Secret Door is seemingly an in-band joke which leaves you comatosed only to be urgently resuscitated with a blast of hysterical ticker-tape which rains down from the heavens. 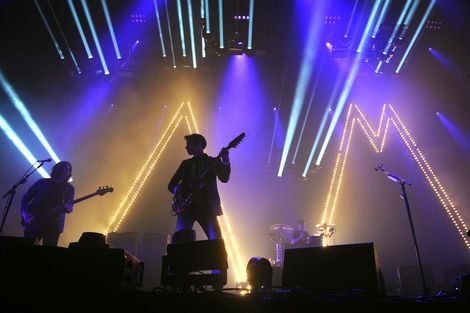 It’s easily the most thrilling moment of the night – and the Monkeys are anything but a band that relies on gimmicks. If You Were There, Beware has so much rhythmic punch it feels like the back of your throat’s in danger of being taken out while The View From The Afternoon is easily the track of the night exhibiting all their colossal force into a five minute package of power. But these segments aren’t enough to raise the spirits to anything above mild indifference. Indeed, it’s the sight of several umbrellas going up in the crowd which act as an ironic symbol for tonight’s dismal showing. As Alex walks off he shakes his fist to the crowd. But not like a champion – more like a one that’s lost his crown. Bah, humbug.